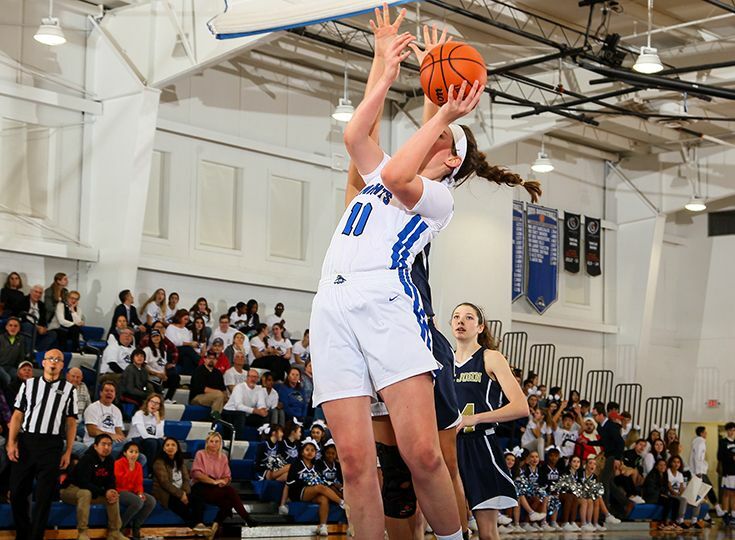 The girls’ basketball team had a week full of close matches as all three of its contests were decided by three points or less. The Knights were on the losing end of their first game of the week, as they fell to Mount St. Mary 52-49 on January 30. Having great games for Gill were Caileigh Walsh ’21 and Devyn Scott ’20 as Walsh recorded 20 points and 10 rebounds while Scott contributed 18 points. Gill did not have any time to reflect on the close loss as the Knights were back at it the following day against Bridgewater-Raritan. This time, Gill came out victorious, topping the Panthers 43-40. Gill was again led by Walsh as she recorded 20 points, 11 rebounds, and four blocks. Also helping secure the win were Scott with 16 points, five assists, and seven steals and Emma Fetrow ‘19 with seven rebounds. The Knights were able to end the week on a high note as they outlasted Monsignor Bonner (PA) 45-44 on Saturday, February 2. Ella Fajardo ’21 led all scorers with 15 points and added five rebounds. Walsh recorded yet another double-double with 12 points and 10 rebounds. Gill is back in action on Tuesday, February 5, against Watching Hills.